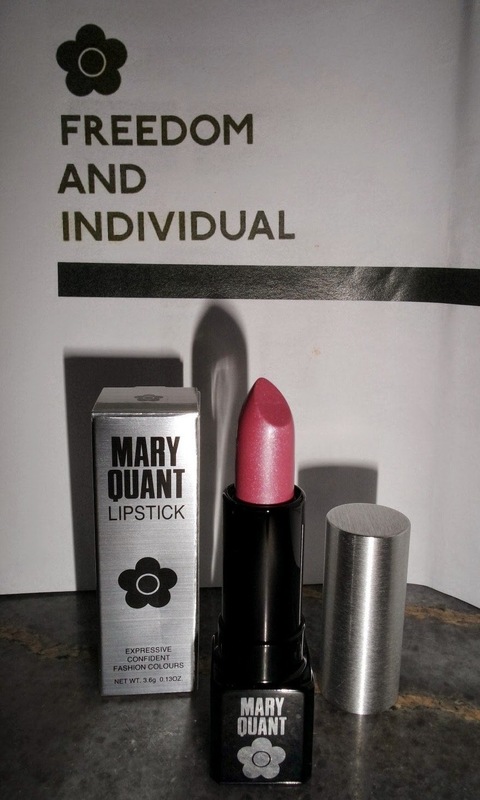 Calista Leah Liew: Mary Quant Lipstick Giveaway! The prettified bloggers with their goodie bags! 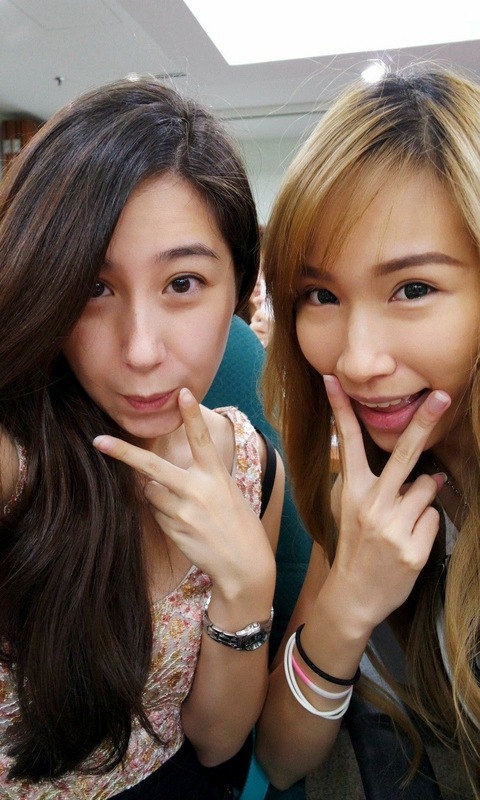 Before: Makeup-less Julie & I! We all arrived bare-faced and ready to put our faces on. I went with Julie who said I forced her to join me humph! as it was our last chance to meet up before I left KL, and who better to spend a Sunday afternoon with? Takaki-san clipping Felicia's hair back - a must before attempting a masterpiece! As soon as all the girls had arrived, Ms. Takaki (the makeup artist from Japan, also featured in my past post) began her magic on the model of the day, Felicia. 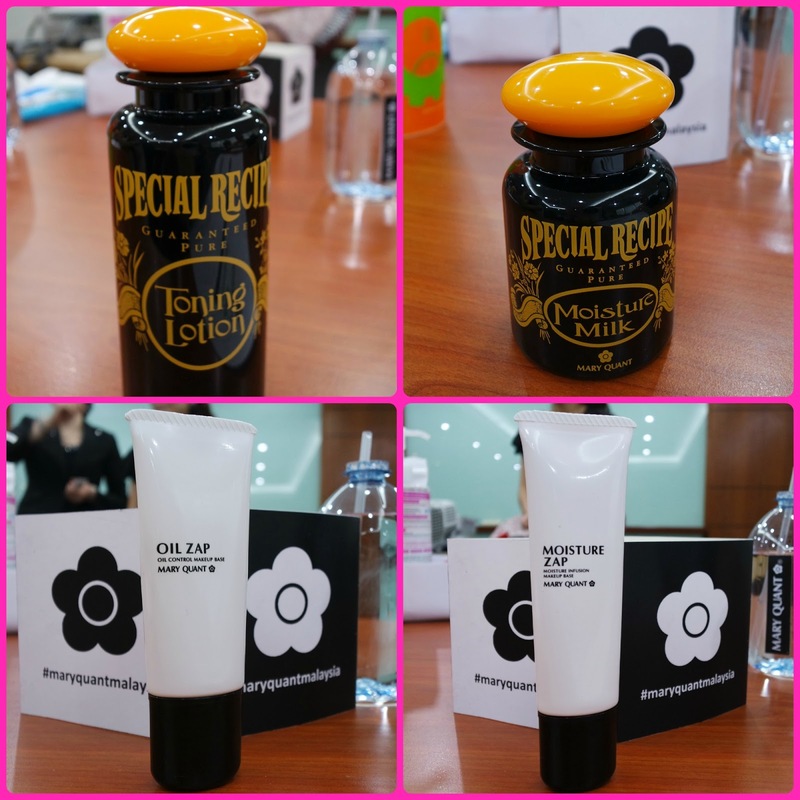 Mary Quant Oil Zap on T-zone for matte finish, then Moisture Zap for moisture, smoothness, and longer lasting makeup. Starting off with a clean slate, Takaki-san first used toner and moisturiser to prep Felicia's skin. As I already had sunblock on, I skipped these steps, as did I think most of the girls. I did use the makeup base though: Oil Zap is used on the T-zone, while Moisture Zap is to moisturise the dry areas like your cheeks. I only used Moisture Zap as my skin is quite dry. Tip: Use Moisture Zap around your eye area, but not Oil Zap. Your eyelids only get oily because of the oil on your T-zone! Don't think it's necessary to say, but I applied Eye Gloss to the left side only. Next up, foundation. 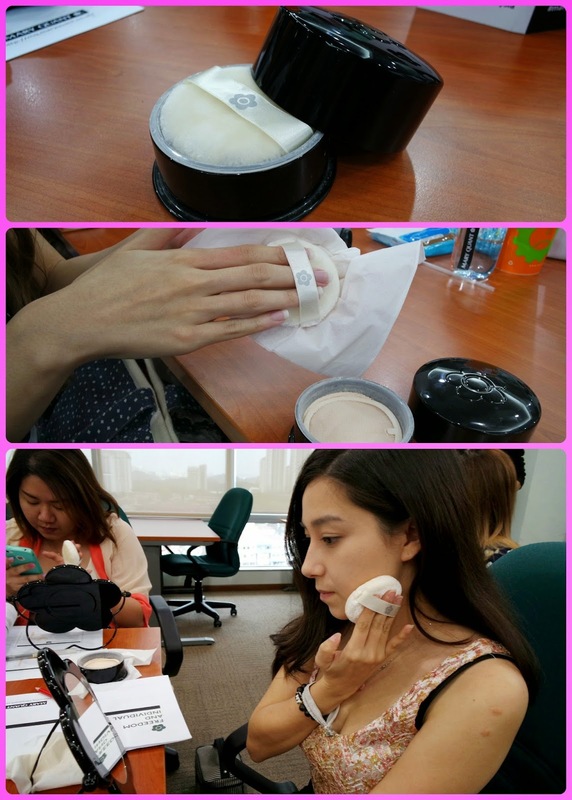 We tried out Mary Quant's Smoo Make Powder Foundation, and Takaki-san gave us 2 options: a lighter finish, or a natural finish. I chose natural, and Takaki-san picked out O-40 (Natural) for me. 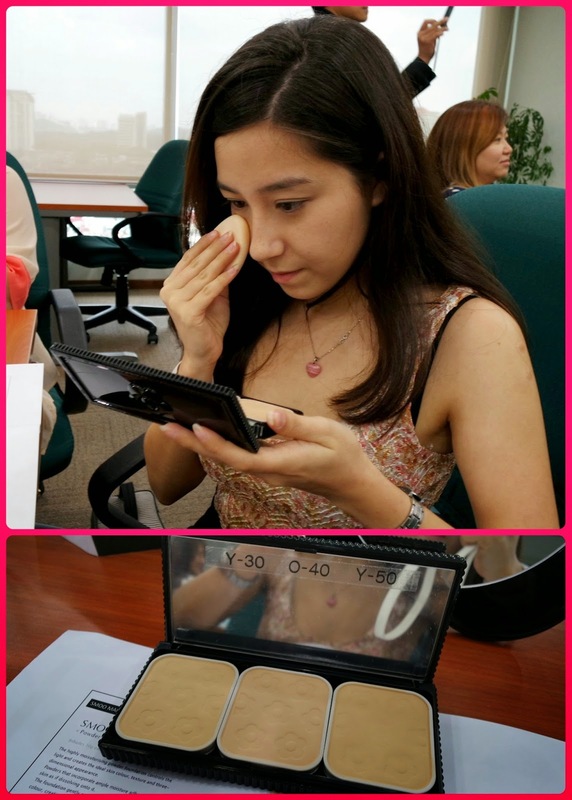 Apply powder foundation with a face compact puff, smoothing evenly. For a softer finish, apply Loose Face Powder with a puff; but after dabbing the puff into the powder, squeeze it with a tissue before patting onto your face so that you wont be stuck with too much excess. Loose powder with a fluffy puff! Choose from a shimmery finish or a light finish. Colouring time! I know, sounds like kids in kindergarten, but hey, you get the jist. We drew in our brows, then went straight into lining our peepers and playing with eye shadow. 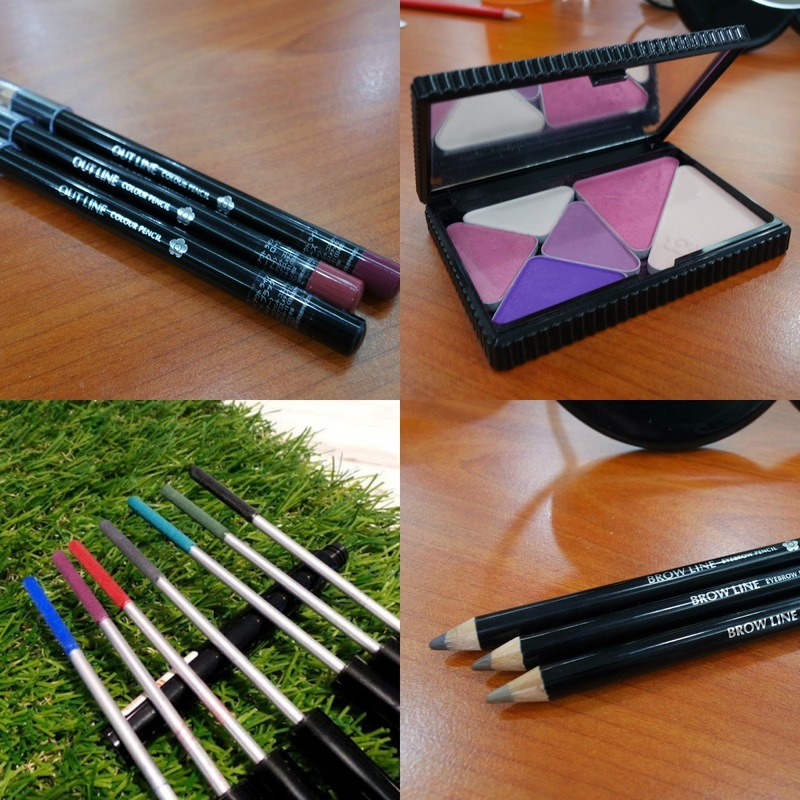 Eyeshadow also clockwise from white (N01 - for base), P06 from outer corner to middle, V01 for shading, R02 for bottom and corner. Mascara aka Action Lashings (I used 2nd on left - Bohemian Purple). Apply with coil side first, then brush side. Which brings me almost to the end of my makeover, and what you've all been waiting for: Lips! 1. Make sure you're following my blog (followers list on my sidebar), & my Instagram (@CalistaLeahLiew). 2. Leave me a comment below telling me what makeup item you can't leave the house without applying. 3. Don't forget to leave me your email address in the comment too! 4. Winner will be chosen by random.org on 18th May 2014, and I will contact you via email. After: Julie & I forgot to show you our finished look properly, because we were given these words-cannot-describe-how-good-it-is cake! Good luck, get your entry in asap so you can start smooching away with gorgeous lips! 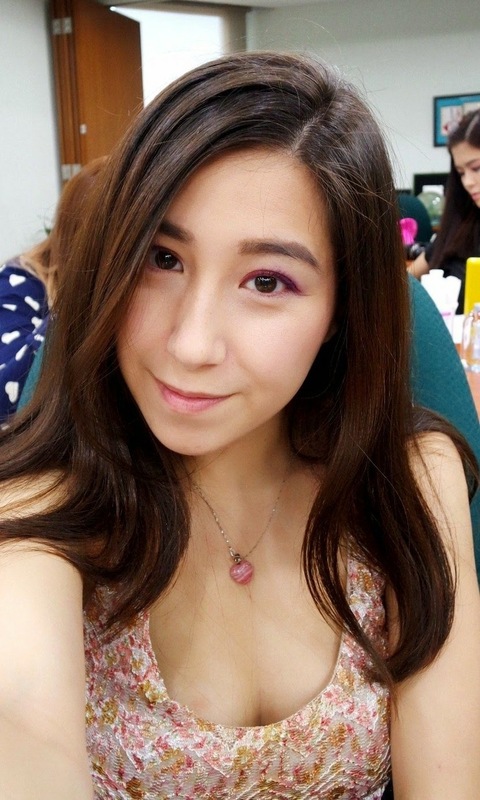 Hi Calista nice to meet you I'm ur new reader as well ^^.for me there's few item which is cannot be left such as lipstick, eyeliners, eyebrows pens and also Concealer. But I think the most crutial one is my eyebrows pen!!! 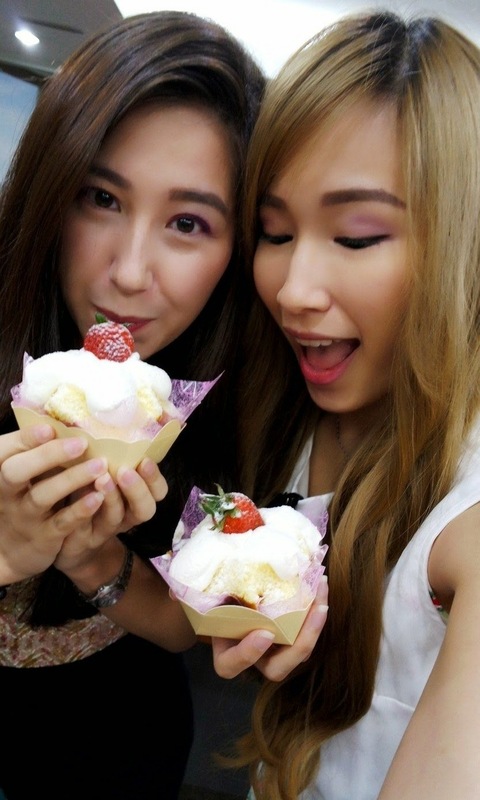 One will looks less energetic and cheerful without a nice shaped and drawn eyebrows. 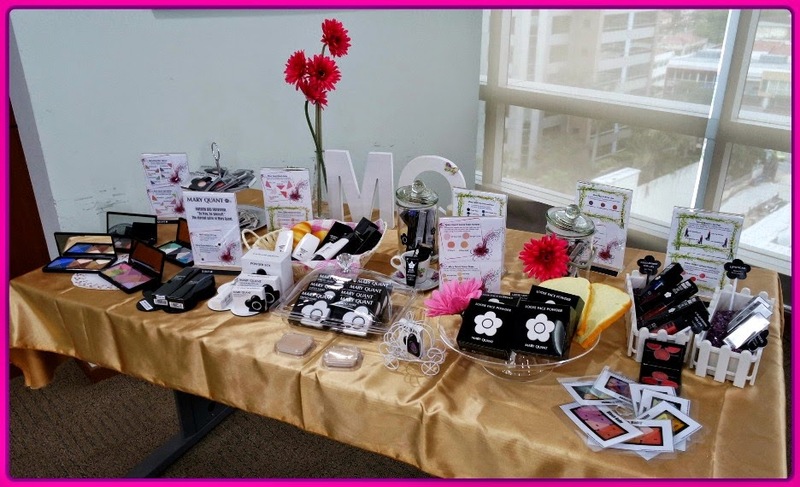 The make up item that I can't leave home without is my BLUSHER & LIPSTICK/GLOSS! Oh my gosh you were so lucky! It looks like you all had so much fun! I am the unfortunate owner of a huuuge eyebrow scar I got when I was little so I would have to agree with Jean, eyebrow pencil is a must! Otherwise I look like I went wild with my tweezers haha. The makeup item that I seriously can't leave home without are my mascara (sadly, I have lashes like a camel), eyeliner and my eyebrow pencil. I can't leave home without doing my eyebrows! I look like an alien without em! 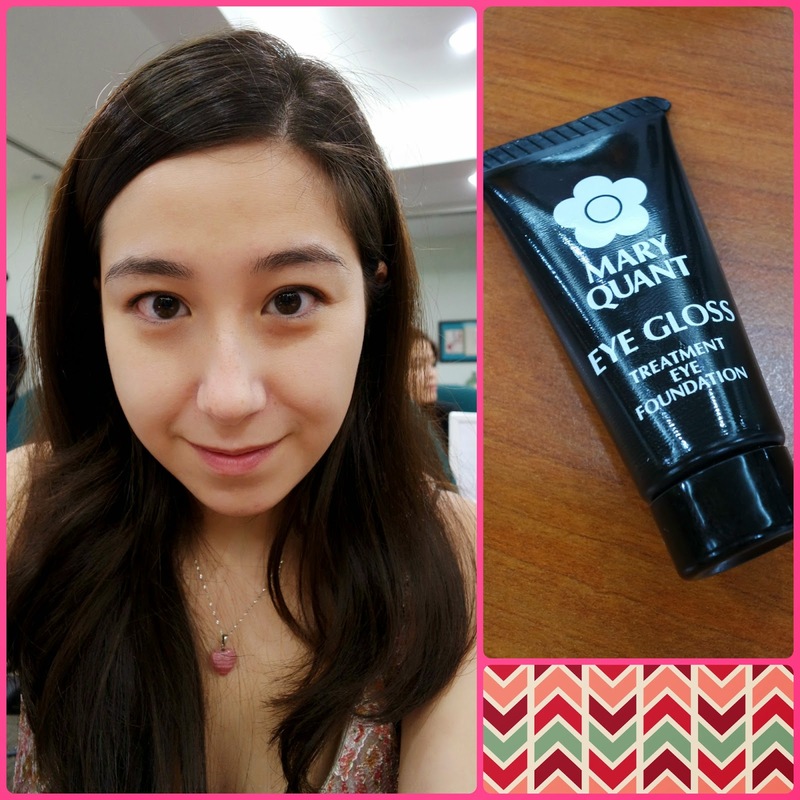 BB cream is my daily must!